one size: approx. 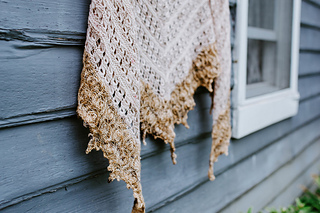 26" x 60"
background - “Broken Bones” by Kaleo combines three subtle neutral shades and three stunning stitches. 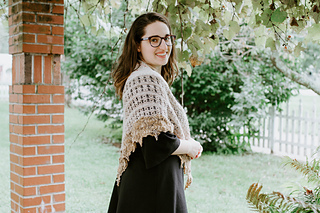 I loved the earthy feel to the song, and it lent itself well to the color palette curated by Jess at Olann Yarns. 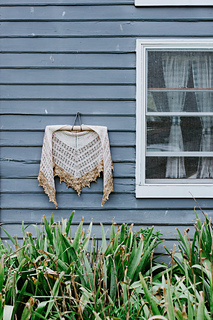 The shapes that I saw with this song slowly morphed from smaller, gathered stitches into larger, rounder ones. 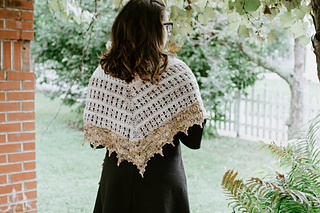 The motifs for this pattern gradually increase in size from the beginning triangle to the final brioche edging. If you aren’t familiar with this song, I highly suggest you check it out! 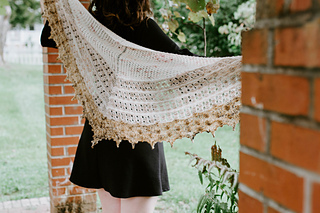 notes - Practice your lace and brioche stitches with this lacy beauty! 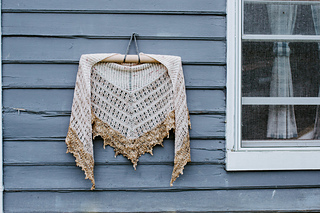 This shawl begins with an easy Estonian lace stitch and moves into knitted broomstick lace and finally brioche. 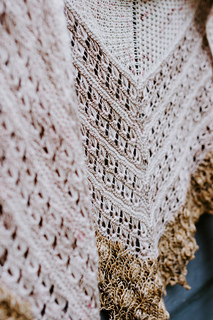 Tiny garter stripes separate each pattern transition. 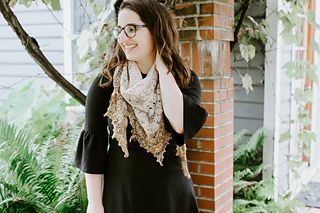 This shawl makes a gorgeous addition to any cool weather wardrobe. 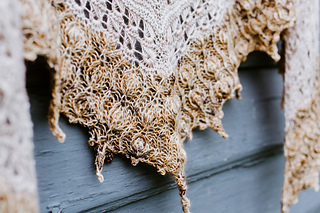 techniques - This pattern uses several intermediate techniques: Estonian lace, knitted broomstick lace, and brioche. 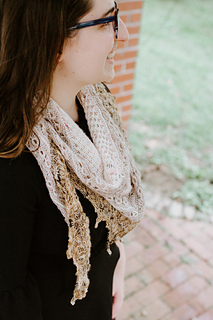 Some experience with brioche is recommended: you are only working with one color, so it’s all brioche knit stitches, but you are working increases and decreases. All stitches are fully explained!